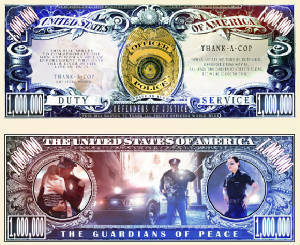 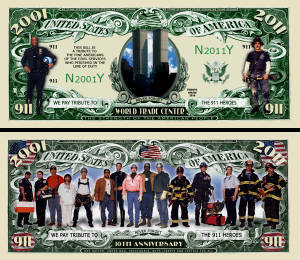 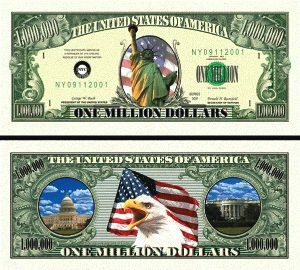 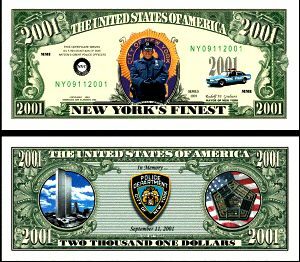 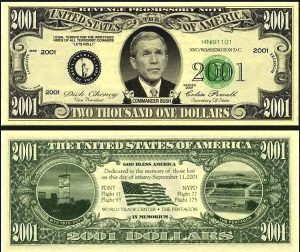 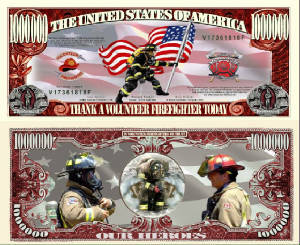 Here's your chance for you to collect all 9 of our 9/11 Dollar Bills or re-sell them and start your own business! 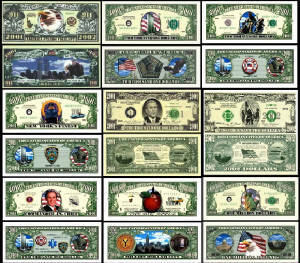 Buy them separately or in a complete set; the more you purchase the cheaper they are! 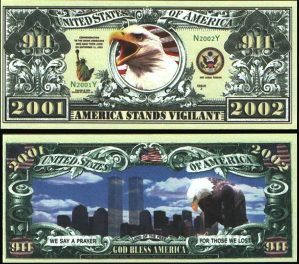 A perfect gift for any patriot! 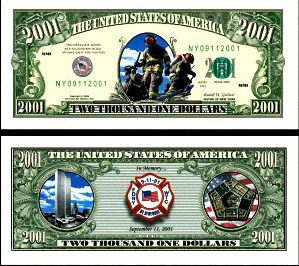 This bill is in memory of those we lost on September 11th, 2001! 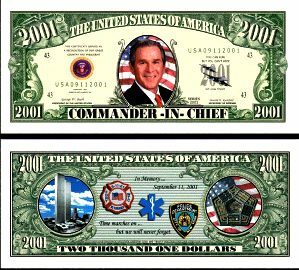 Our Commander in Chief, President Bush; remember 9/11! 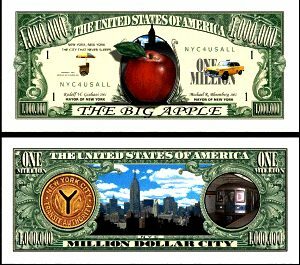 No matter what, New York City will always be the Big Apple! 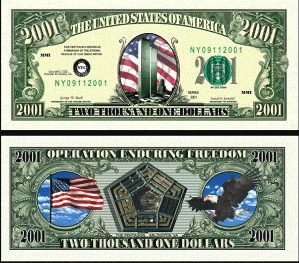 The Statue of Liberty tells everyone that this land is still free!